Fishing and hunting are America’s favorite outdoor activities. There’s nothing better than engaging in a successful hunting or fishing excursion with some of the best hosts in the world; which is exactly what you’ll find right here at River Ridge Lodge. 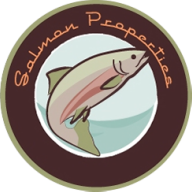 Founded in 1870 we are located on the Pere Marquette River in Northern Michigan and we are known for our premier hunts for whitetail deer, turkey, black bear and fishing excursions for Salmon and Steelhead. Over 210 privately owned and managed acres of pristine hunting ground, all dedicated to a limited number of hunting groups who are ready for the challenge of the River Ridge Lodge. The 210+ acres consists of a spectacular mixture of fertile wetlands, planted crops, and hardwoods. We work hard to ensure only the best genetics and superior deer are in our herd and hunts. Our deer all come from great genetics. We have an excellent feeding regimen, while our fields have been stripped and planted with food and cover crops. We use a four season food plot strategy, with fields of Rye, Oats and Clover. The purpose of this design is simple: To establish an annual attractant and perennial base with a planting date aimed at offering the most food for each month of the year with an emphasis on the most critical months, with soil or plot disturbance taking place during the least critical month of the year. 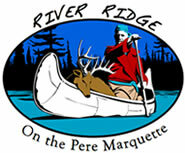 River Ridge Lodge also attracts Michigan anglers of all skill levels, from novice to avid fishermen, celebrities, and professional athletes. You will marvel at the staggering number of Trophy-Size Salmon, you will catch and the Michigan Fishing stories and memories they will create. The Pere Marquette River is one of the finest trout, steelhead, and salmon fisheries in the Great Lakes region. It is a tributary of Lake Michigan located on its east shore. The regular trout season on this river is superb for resident browns. Acrobatic steelhead enter the creek from Lake Michigan in early fall and provide excellent fly fishing throughout the winter till early spring. Salmon enter the creek in late summer and provide good angling through mid-fall. Quality hatches of mayflies, caddis, and stoneflies exist which provide tremendous dry fly angling for the river's resident trout.